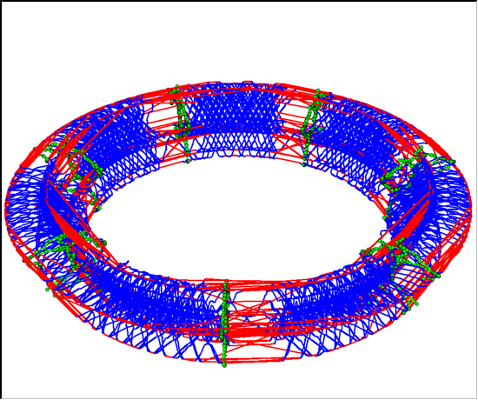 HyDraw is an abbreviation for Hypergraph Drawing. It is a small javaview-based visualization tool that allows the user to create graphs and hypergraphs that change over time. You can either pass drawing commands by XML files or by directly typing them into the console. It is also possible to pipe another programs output to HyDraw. The main feature is the possibility to pass "sleep"-commands to HyDraw to delay the drawing of the graph. The viewer will see a graph that is built up bit by bit which facilitates explanations in presentations. You will need a javaview license file to use HyDraw. A sample movie to show how HyDraw can dynamically draw graphs can be found here. The movie shows the rotation of trains through Germany. First a track network is displayed, once for each day of the week. 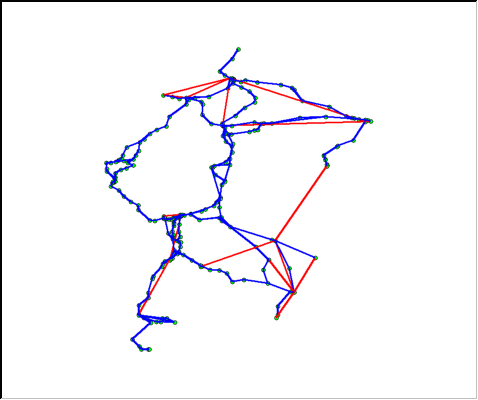 Then train rotations are drawn as lines moving through the network and the week. HyDraw also understands SCIP's output for the vbcTool. You can use it to visualize the branch-and-bound tree that is produced by SCIP. An example can be found here. Furthermore, Hydraw comes with a search functionality that allows you to, e.g., highlight all nodes that branch on a certain variable. There is also a beta version of export functionality to Amira. HyDraw can convert its input file to Amira files. Though, some functions like the time delay may get lost in the process. Amira is a 3d visualization suite that offers far more options than HyDraw does. HyDraw is distributed under the ZIB academic license. HyDraw is written and maintained by Ricardo Euler. 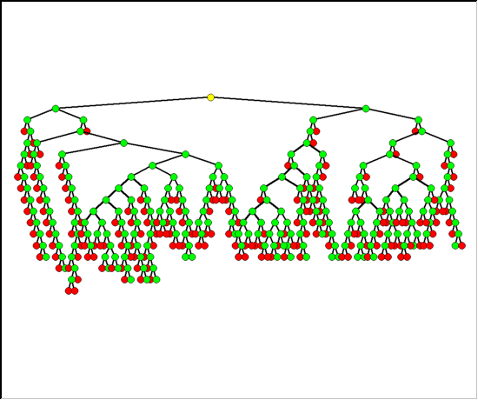 Export for Amira and the tree algorithm are a contribution of Gerwin Gamrath. If you come across any bug, please let me know.